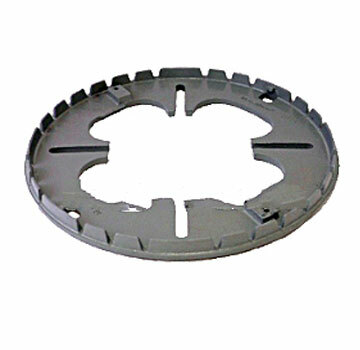 PRODUCT: 12" Cast ALUMINUM Universal Replacement Drain Base Ring (13-3/8" OD). Aligns to most old drain base patterns from 6-1/2 to 11-3/4". Price/Each. DESCRIPTION: Universal Replacement Drain Ring fits many popular sizes. Designed for replacing the clamping ring in membrane roofing drains and helps creates a watertight roof system. 13-3/8" outside diameter; fits 12" OD cast strainers / domes. Universal bolt-down base ring with 4 pairs of popular bolt down patterns (see last page of data sheet for all the details). 12 in. Cast Aluminum Replacement Drain Dome and Ring Kit. Included 12 in. OD x 5 in. Cast Aluminum Strainer Dome, Cast Aluminum Base Ring, 5/16 in. Stainless Steel Hardware. Base aligns to most old drain base patterns from 6-1/2 to 11-3/4. Price/Each. 12 in. CAST IRON REPLACEMENT DRAIN DOME / STRAINER. 12-1/4 in. OD x 7 in. HIGH CAST IRON REPLACEMENT DRAIN DOME. FITS MOST POPULAR 12 in. DRAINS. PRICE/EACH. 12 in. 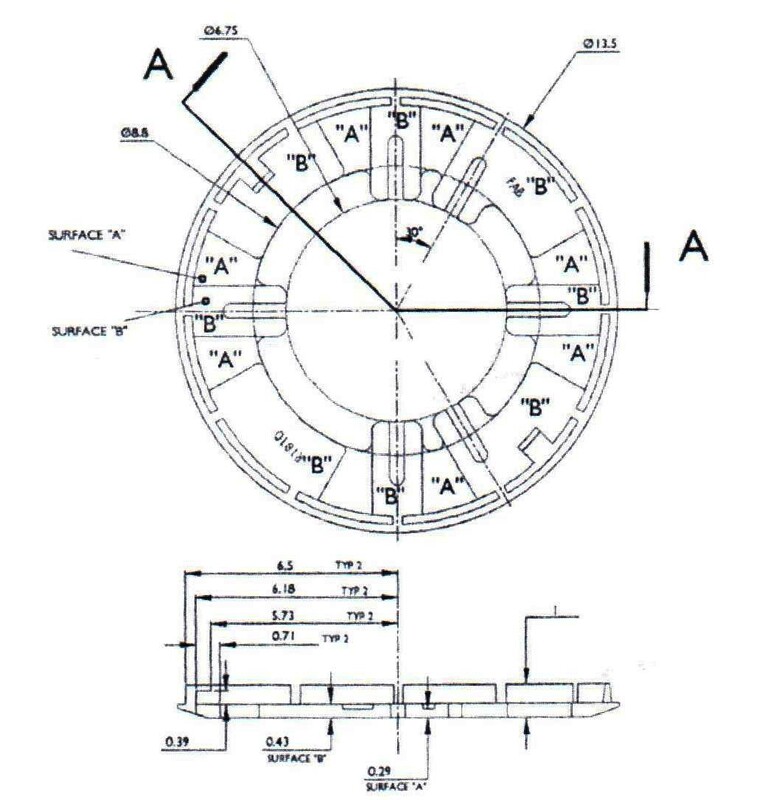 Cast IRON Universal Replacement Drain Base Clamping Ring (13-3/8 OD). 4 pair of bolt patterns from 6-1/2 to 11-1/2 in. aligns to most drain bases, 3 or 4 bolt. Price/Each.